Android app development tutorials, examples, tips and tricks, best libraries, ux/ui design,Material design, etc. By default, android emulator is not visible system navigation bar and developers face difficulty when they use without system navigation in below android jellybean emulator. Here I’m going to describe how to enable system navigation in android emulator. 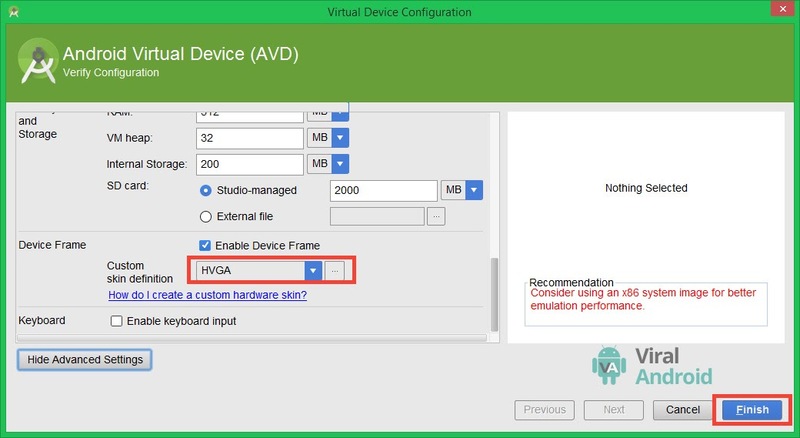 These are steps to enable android emulator system navigation bar. Step 1: Open Android Studio. Step 2: Go to AVD Manager. After opening your android studio go to AVD manager either from android studio menu or directly click AVD manager button. 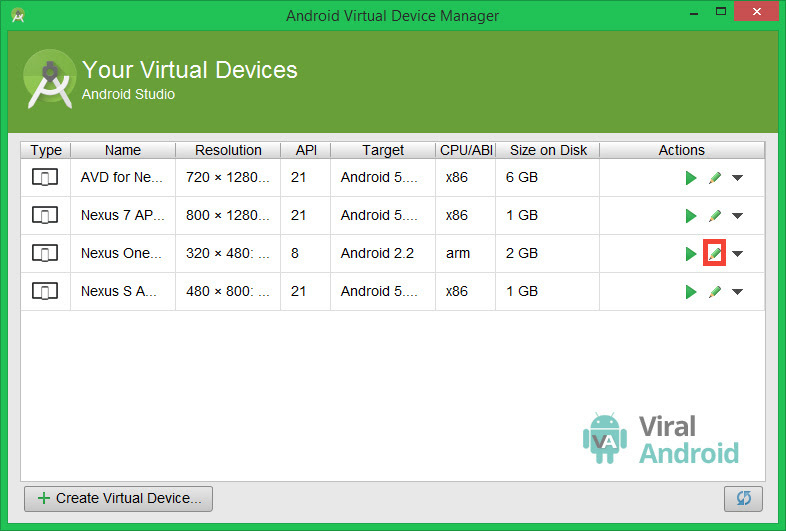 To open AVD manager from android studio menu: go to Tool >> Android >> AVD Manger which looks like this. 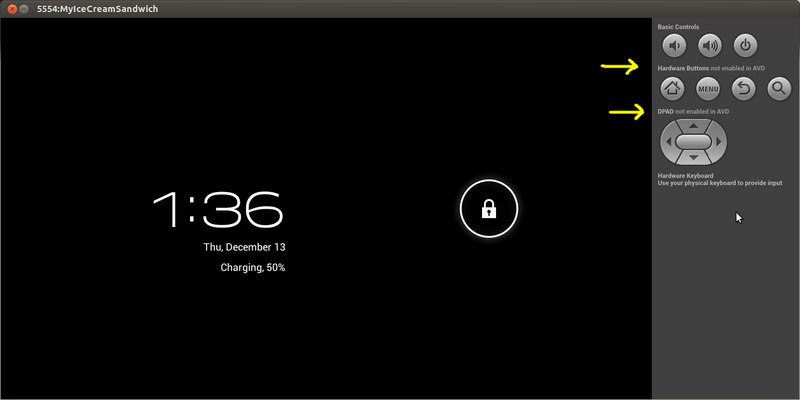 Step 3: Click edit button which emulator navigation bar you want to show. Step 4: Select HVGA from sink like below screenshot and click Finish button. Step 5: Restart your android studio and run android application. After doing these steps, your android emulator looks like in the image below. Viral Android provides free android app development tutorials, examples, tips and tricks, best libraries, code snippet, ux/ui design, material design tutorials etc with source code to the beginner and expert android developers. We will also provide some tutorial and example with complete project to download. Viral Android – Tutorials, Examples, UX/UI Design © 2018. All Rights Reserved.